If you’re a golfer, we know you are ready for winter to be done with so you can get back on the course. 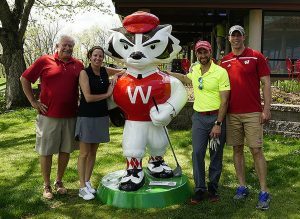 Warm, sunny days might be just a dream now but why not plan to get the rust off your clubs and kick-off the season at the UW-Madison Dairy Science Dave Dickson Memorial Golf Classic! This year’s outing is scheduled for Wednesday, May 15, at the award-winning University Ridge Golf Course in Verona. University Ridge is the home course of the UW Badgers and is hosting the PGA Champions Tour, American Family Insurance Championship in June. The golf outing is the department’s primary fundraising event. All proceeds support the dairy science department’s undergraduate student scholarship program and high impact learning activities including the Dairy Challenge and dairy judging teams, hands-on learning laboratories and undergraduate research. Last year’s outing raised nearly $25,000 for those programs. The Golf Classic is a scramble, where each team member plays the ball closest to the hole after each shot. Registration includes 18 holes of golf, cart rental, lunch and prizes for a fee of $135 per golfer and $150 per golfer after April 20th. Companies and individuals may support the event through sponsorships or donations. There are options for hole sponsorships, beverage, breakfast, lunch and the brat cookout sponsorships. These levels of sponsorships include special signage at the event. There will be an ongoing auction during the event through an app accessible by your phone, featuring a variety of dairy-related items and sports memorabilia. Dairy science alumni who are not able to be in attendance can participate in the online auction as well! Donations of auction items are welcome and will be accepted until May 6. Additional information and the registration brochure can be found at www.dysci.wisc.edu under the Golf Outing tab. To learn more about donations or sponsorships contact Emma Olstad by email at olstad2@wisc.edu or phone at (608) 712-0073. Don’t delay! The University of Wisconsin-Madison’s Department of Dairy Science invites prospective students and their parents to visit campus on Friday, April 5, 10:00 a.m. to 3:30 p.m., to explore what the program has to offer. Those attending will get a firsthand look at one of the world’s leading dairy science departments as they tour the UW-Madison campus and Dairy Cattle Center, meet faculty, participate in hands-on workshops and learn about the wide variety of learning opportunities available to dairy science majors. Current students and alumni will be on hand to answer questions and share their experiences. Those attending can also preview cattle selling in the Badger Dairy Club’s 19th Badger Invitational Sale on April 6. The UW-Madison undergrad dairy science program emphasizes a combination of cutting-edge, science-based knowledge and hands-on experience. 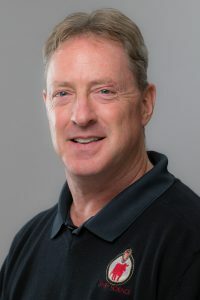 Award-winning research and extension faculty teach more than 20 undergraduate courses covering nutrition, reproduction, mammary physiology, genetics and other aspects of dairy management. On-campus, state-of-the-art dairy facilities enhance the learning experience. For UW-Madison admission eligibility, it is recommended that seniors rank in the top 25 percent of their high school class. Transfer students must have completed at least 24 semester hours of college-level work. Most transfer students have a GPA of at least a 3.0 on a 4.0 scale. To attend the Dairy Science Spring Visit Day, please register online by April 1 at dysci.wisc.edu. For more information, contact Cathy Rook at (608) 263-3308 or rook@wisc.edu.